Turnbull’s “Jobs and Growth” campaign inspired many in Australia to vote for whom they believed were the better economic managers of our economy. 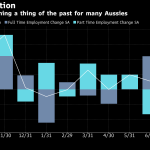 In the first quarter of their second term in office, Australia is showing declining growth in the economy and a similar decline in full-time jobs. 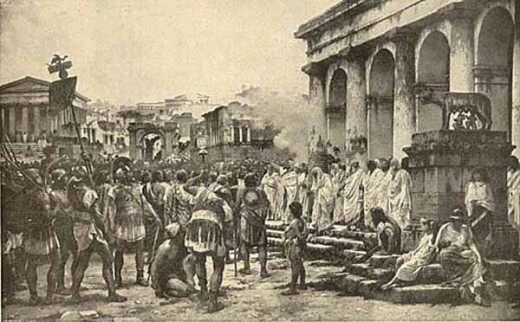 The Hebrews and Greeks regarded work as a curse because “work” was performed by slaves and the underclass. Placing a positive moral value on “work” is a relatively recent invention emerging out of the Protestant Reformation. Max Weber, a German economic sociologist, wrote the book, “The Protestant Ethic and the Spirit of Capitalism“ coining the term the “Protestant work ethic“. 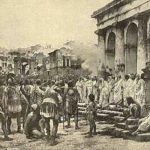 The concept of the religious work ethic became secularised to support the mounting new industrial system which required workers who would accept long hours and poor working conditions. The unionism of the 19th century reshaped much of the makeup of “work” as we know it today. Consider ‘fair and reasonable’ wages (the 1907 Harvester Decision), better wages for women (as high as 54% of male wages by 1930), weekend penalty rates (from 1947), shorter working hours (down to 40 hrs in 1948) and four week holidays (from 1973). Work health and safety reforms (commencing in 1984) and more consultative supervisory styles & policies (Industrial Relations Reform Act 1993) continued to transform working relationships. In 1996 Howard introduced the Workplace Relations Act which was later amended in 2005 (known as Work Choices). 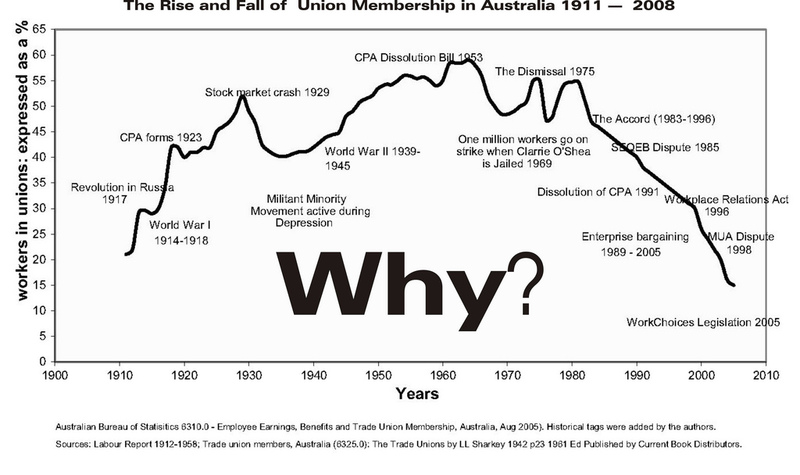 Workplace industrial relations began to change, but not necessarily for the better. 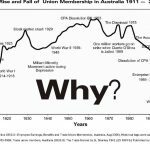 Anti-union rhetoric accelerated despite as Greg Jericho noted the lack of “strong evidence that changes to the IR system will actually improve economic growth or productivity“. The problem for many Australians is having access to paid work in the first place. A full day’s work (38 hr/weeks established in 1981) for a full day’s pay is a diminishing luxury in Australia. Full-time worker numbers are diminishing are diminishing in preference for part-time work. 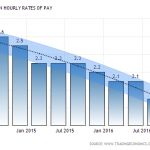 The “fair day’s pay” principle suffers as wages are increasingly stagnating. The economy’s poor performance has been reflected in the September Quarter GDP’s figures, contracting by .5%. Australia has not experienced a contraction in GDP that severe since the GFC of 2008. This result was predictable, despite the Treasurer’s rhetoric talking up the economy. While some factors affect failing economies, our poor employment record is one, as Victoria University Senior Research Fellow Janine Dixon said, “Fixing unemployment would boost production, incomes and living standards.” Into this environment came the Coalition mantra proclaiming they were the party of “Jobs and Growth” that we voted for at the beginning of this contracted quarter. In term of actual numbers unemployed 5.6% in 2013, is 8000 less than 5.6% in 2016. 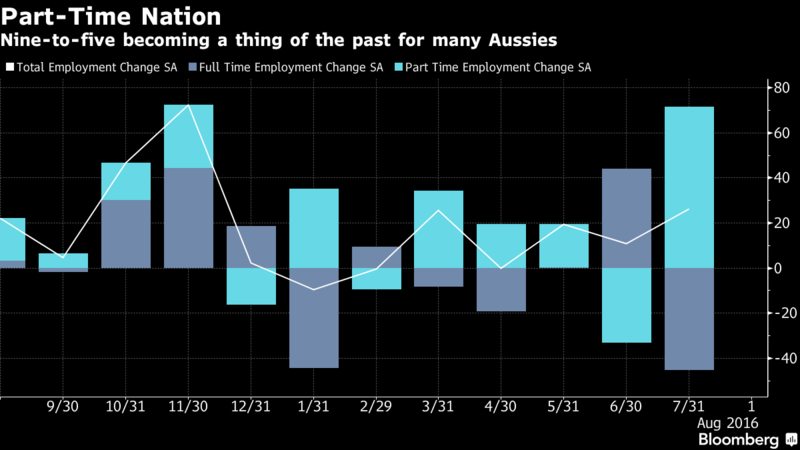 For the Australians that can acquire jobs, the makeup of that employment has changed. In September of 2013 full-time employment was increasing at a greater rate than part-time work but this has incurred a reversal. A trend which has not escaped international attention. As Alan Austin has pointed out in November 2016, “Over the last three years, there has been a significant shift from full-time to part-time jobs“. 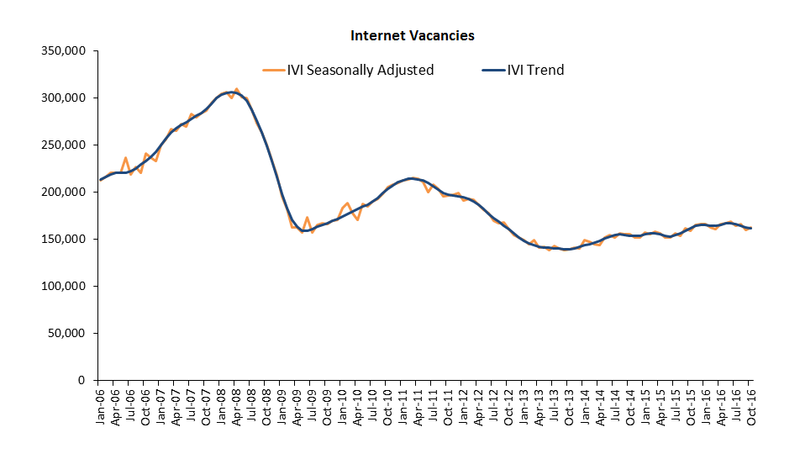 The Australia wide Dept of Employment IVI index for job vacancies for September was 161.5K. 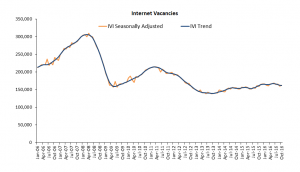 Vacancies were down from 163.5K in August. The ratio of vacancies to unemployed was 1:4.4. 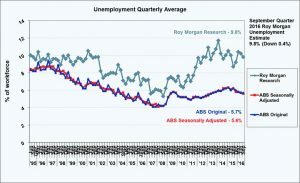 However, ABS’s standard for measuring unemployment hides thousands of unemployed people as I’ve explained in a previous article. 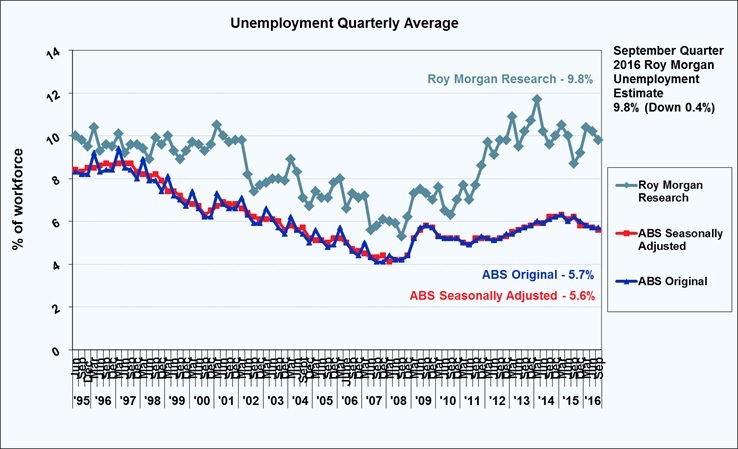 The more accurate Roy Morgan’s unemployed statistic is 1.101 million or 8.5%. The ratio is then 1:6.8! If you add their underemployment numbers, you reach 2.103 million or 16.2%, and the ratio becomes 1:13. What else should be accounted for here? Available vacancies examined in a report by Anglicare’s Jobs Availability Snapshot. Leon Moulden said on the nature of job vacancies showing that only 13.1% were for low skilled jobs. Applying the same maths Leon did to the vacancies available; this would represent only 21,000 vacancies Australia-wide apply to people without significant skill levels and education. The ACSF from the Board of Studies in NSW scores literacy and numeracy into five levels. The program for the International Assessment of Adult Competencies shows that 60% of people not in the labour force have competencies of less than Level 3. While people “not in the labour force” is a wider net than the unemployed, 60% of Roy Morgan’s evaluation of 1.101 million unemployed people is 660,000. While this is only a rough estimate with a significant error variant, 660K people competing for only 21K vacancies with little skill entry is a major obstacle to entry. Now to absorb any possible margin of error, I have not factored in under-employed and foreign workers. illegal under award payment, shockingly poor wages or condition by employers. In summary, there are not enough jobs and the majority of available jobs are only accessible to highly skilled, mobile, and versatile workers. 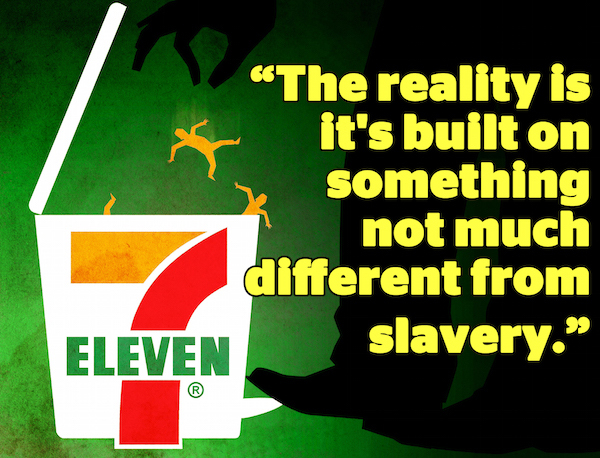 Back to first principles – slavery? This picture isn’t yet complete. 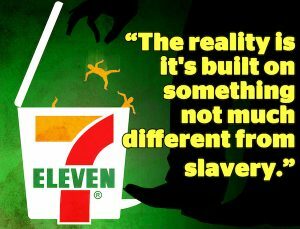 The Australian workplace for low skilled work is notorious for underpayment of wages (see 7-Eleven convenience stores, food distributors, restaurants and cafes). These are just the ones we hear about when addressed in court. Consider also those where actions are not taken, such as the Wollongong student’s vent on social media about employers paying far below award wages. But the apologists might cry, at least they are receiving some money! If you’re still of that view, then you didn’t read the last link to the concluding line which said, “Not only are employers looking for free labour, young people are putting themselves forward for unpaid work trials in the desperate hope they lead to a job“. So what has been our government’s response? An institutionalisation of the PaTH to slavery in a government underfunded internship program which I have criticised previously. It is nearly Christmas, and we have just had the largest fall in our GDP since December 2008. What budgetary measures can our Treasurer possibly come up with to stimulate our economy and its employment to save us from the official possibility of a recession? The next quarter ends on the 31st of this month. When 2.9903 million live below the poverty line, what real chances do people have to find a decent job with a decent wage, in the new year?